Have You Accepted Your Position as Chief Email Processor? Modern connectivity and our obsession with instant information has created the 24/7 workplace. 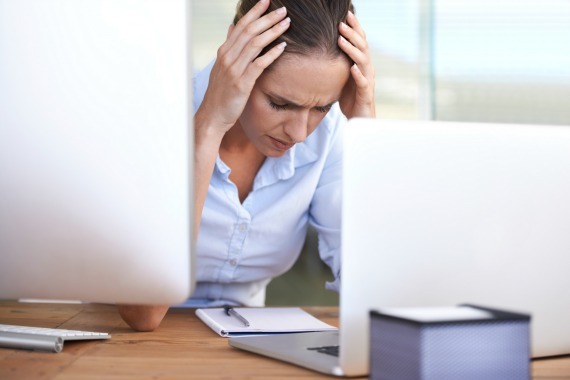 Our job satisfaction is plummeting while reports of anxiety and overwhelm are skyrocketing. Fueled by Starbucks and 5 Hour Energy drinks; we start our days earlier, work later and wear multitasking as a badge of honor. We brag about plowing through hundreds of emails each day, only needing five hours of sleep and how much work we did on Sunday. Family dinner consists of a fork in the left hand, iPhone in the right and family movie night means you'll grab your tablet to clean up your inbox while you intermittently glance at the television screen to appear present for your kids. But what if this very approach was actually feeding the email beast and zapping productivity? What if the constant connection, nonstop email checking, extra hours digging out of your inbox and ninja-like multi-tasking skills were actually the lifeblood of the problem in the first place? As it turns out, this is exactly the case. Quickly and quietly we are being robbed of our most precious commodity. Our new connectivity has given birth to the 70-hour work week, largely because three-quarters of us are now checking email seven days a week and expect responses to come same day if not quicker. What's worse is that in addition to the extension of the workweek, countless hours are lost because of the way we are working. The typical office worker begins the day with email, checks it 50-plus times per day and is distracted every 10.5 minutes by a ringing phone or inbox notification. The most startling statistic of all? Productivity drops nearly 40 percent from multitasking. Why? Because multitasking is a myth! The brain cannot focus on more than one thing at a time, so what we consider multitasking is actually the back and forth switching of multiple, single focused tasks. The end result? A temporary IQ drop of 10 points, a serious extension to the completion time for all tasks and 50 percent more errors along the way. Our constant obsession with checking the hundreds of emails we get daily, coupled with more than one-quarter of our workday containing every form of interruption imaginable translates to 40 percent of our tasks being left incomplete each day and over 10 hours lost each week. Our efforts to stay connected and do more things at once are actually causing us to accomplish far less than ever before. Rarely does a person change from a gentle tap of reality; it typically takes a knockout punch. My story is no different. It was one of life's pivotal moments that came more as a "perfect storm". The start of the week was not atypical; another skipped workout allowed me to start digging out of my inbox bright & early in my home office while the day unnoticeably drifted into a caffeine fueled blur. The phone rang. It was my doctor calling to confirm my workaholic lifestyle had officially resulted in adrenal fatigue and inactive thyroid. I looked at the clock. It was after 5 p.m. Another day had slipped away while I mindlessly reacted to incoming email. My inbox dung -- it was my largest customer reminding me a large proposal was due that night. Solving this presents an interesting predicament. It's not like most of us are going to quit our jobs and sever our connection with society. It's the classic quality for quantity exchange. How to get more done on the clock so you can free up more time off the clock and still dominate your career without it dominating you? Can you leverage the advantages of email without it running your life? Can you get back to using email as a tool to improve productivity instead of it being the reason you lose your mind? 1. Decrease the Noise: You have to remove your digital leash by strategically limiting your connectivity and reducing interruptions. Notifications should be turned off and you should never check email until well after your day has started. It should be checked in focused batches and never be monitored 7 days per week. 2. Increase Focus: You must be working on the right things at the right time. Rethink how you use your attention and you will break the needle on your personal gauge for performance and productivity. Am email prioritization strategy is the difference between being truly productive vs. just being busy. 3. Increase Speed: Hesitations and decisions are quicksand for productivity, these must be minimized. Learning to work both efficient and effective is the key to high performance. If you want true speed, you must couple email search and shortcut techniques along with a plan on what to stop doing. Email is the quintessential blessing and curse of the modern workplace and should never be approached haphazardly. You must implement a system to master it. Let's all agree on one truth: No one's real job is to check email! Find out more at www.emailsanity.com and connect with Derek below.